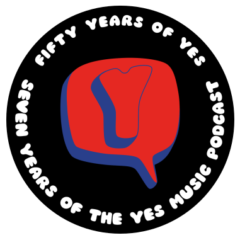 The one hundred and seventh episode of the Yes Music Podcast, featuring an interview with Sid Smith, author of a book about King Crimson, writer of many album sleeve notes and a bit of a Yes fan. Sid has recently written the words inside the new Steven Wilson re-mixes of Close to the Edge. Which prog rocker interview was Sid’s favourite? What does Sid think of the news that King Crimson are to active again in 2014? How did he approach the writing of sleeve notes for Close to the Edge? What is Sid going to do with all the left-over material from his extensive band member interviews? Listen out for the answers to these questions and many more in this brilliant interview!